Cinco de Mayo Crafts - C.R.A.F.T. 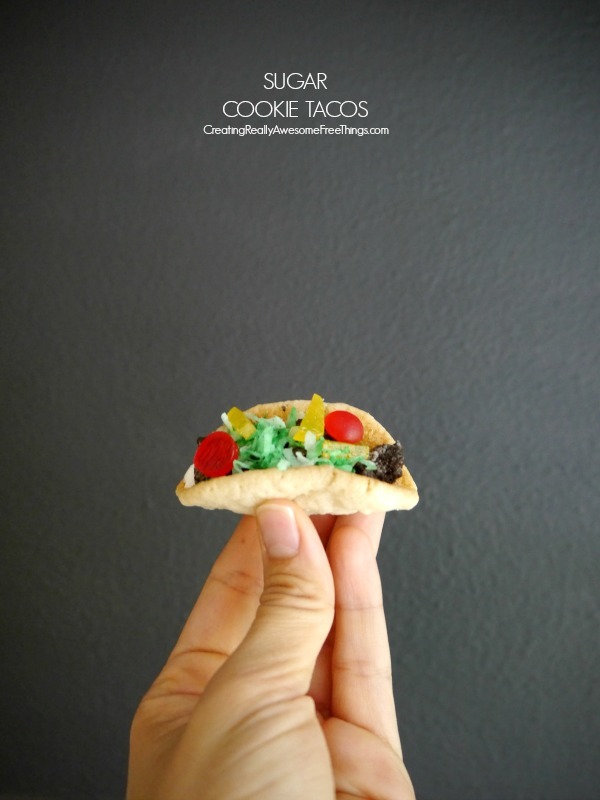 I shared the snack portion of our Cinco de Mayo play date on Monday, but today I’m sharing the crafts! Well, one paper craft and one edible sweet treat craft! 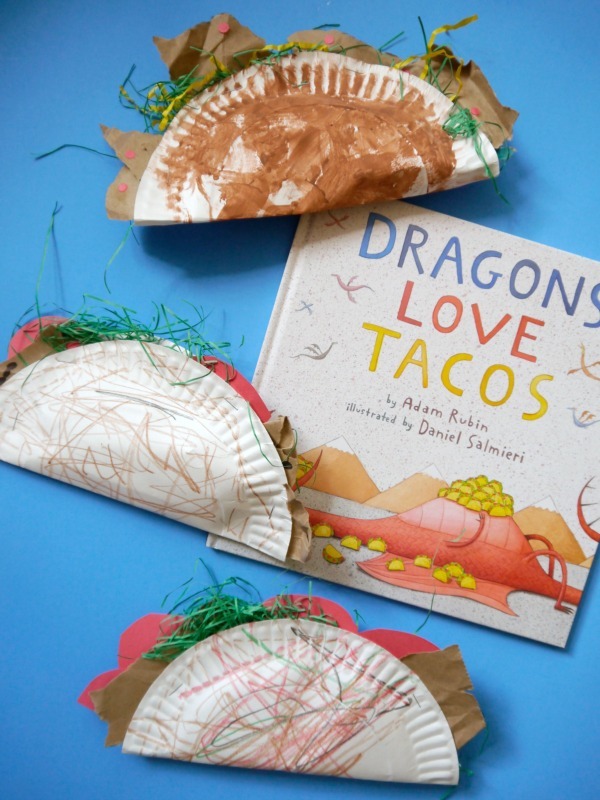 To start, we read Dragons Love Tacos because tacos are the best way to celebrate Cinco de Mayo, right?! Not to mention, I love that book. After we read the book and made a few healthy snacks with avocados and beans (the dragon turned out adorable!) it was time to craft! First, we crafted up some tacos out of paper plates. It was super easy! The taco is literally as simple as letting the kiddos color or paint the paper plate brown. And then filling your taco with your favorite toppings and then staple the paper plate shut so that your toppings stay inside of the taco. You can see the middle taco has black beans on it, the top taco has hole punched red tomatoes, and the bottom taco has giant slices of tomatoes. Let the kiddos use their imagination. Heck, you can add broccoli and gummi worms, if they’re feeling it! And clearly whatever you do, do not add any spicy salsa (in the book, dragons hate spicy salsa). Since all ovens are different, test 1-2 cookies first so that you don’t ruin a whole batch. 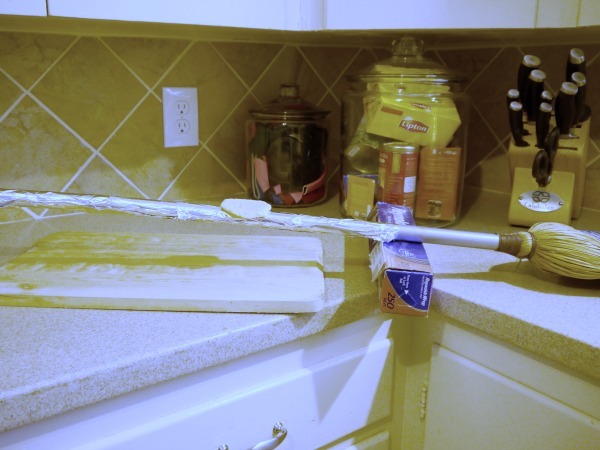 Under cook the cookies just a little bit and then let cookies cool for one minute before shaping them over your broom stick. You don’t want your cookie to thin or too thick, it needs to be just right so that it doesn’t crumble. 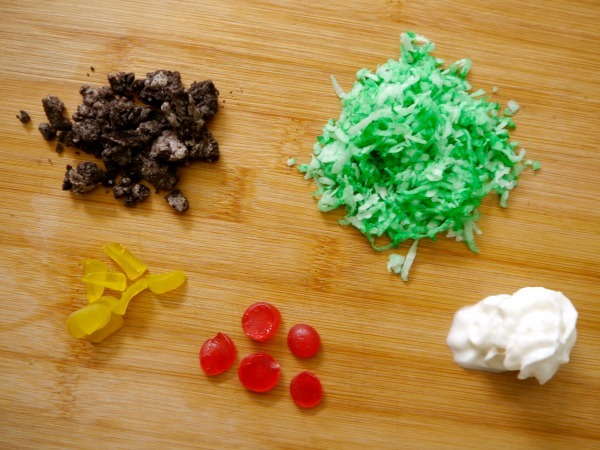 Some cookies will crumble, use those for your “taco salad”! Meat or beans: Place 10 or so Oreos in a zip lock bag and let a kiddo crush them up. Sour cream: I bought whipping cream in a spray bottle for easy use. Lettuce: Mix green food coloring with coconut. Cheese and Tomatoes: Cut Dots into strips for cheese and circles for tomatoes! Then the really fun part, putting together your taco and eating it! For more Cinco de Mayo food ideas, check out our cactus, dragon, and sombrero healthy snack ideas! 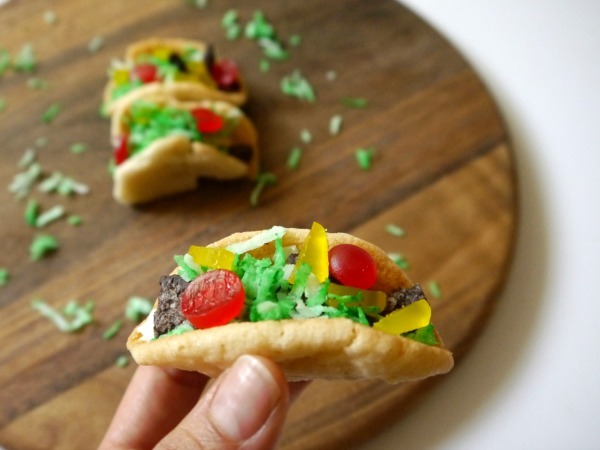 The sugar cookie tacos are absolutely adorable….and genius! I had to stop by to see what they were made from because they looked so much like a meat taco. Cute, cute, cute!